Last week, I visited DC to see my friend, Christina, and her husband, Cezar. They recently bought a super cute, nice home. And they just had their new born baby – Adrian Minho. Adrian was such a cutie, he was so sweet and made me think ‘geez, babies are angels…’ I spent three days there, and Christina took me to so many great vegan restaurants (while the devoted, amazing husband Cezar stayed home to take care of Adrian so we could run around and have fun), so I thought I’d do a post on my vegan food tour there. As soon as I got there. Christina pulled up Yelp, saying that there were a number of vegan restaurants that she wanted to take me to. She is not vegan (yet! :P), but she was super prepared to take me to all the vegan restaurants that she had looked up. 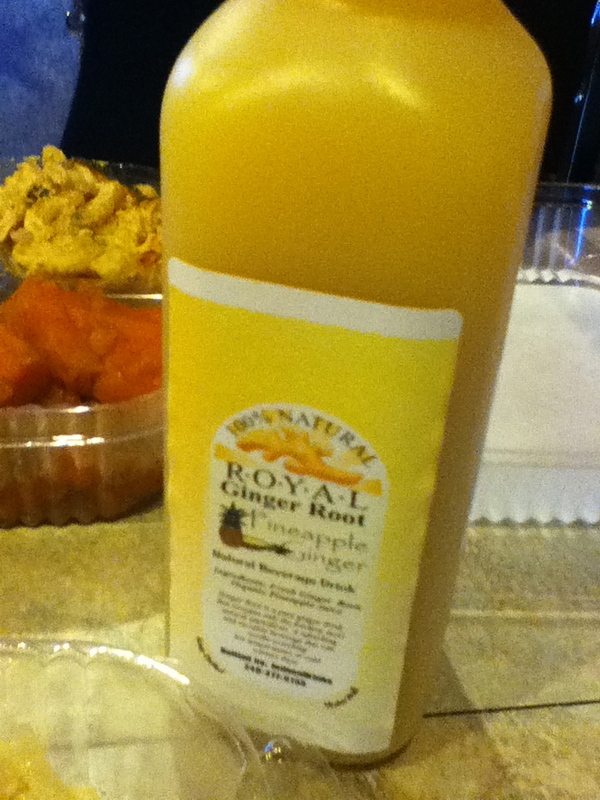 The first restaurant that we visited was Everlasting Life Cafe. This place was amazing. It was very busy with a ton of people, and their food was just absolutely fantastic. Christina had found this place on Yelp and she said the reviews were the best. 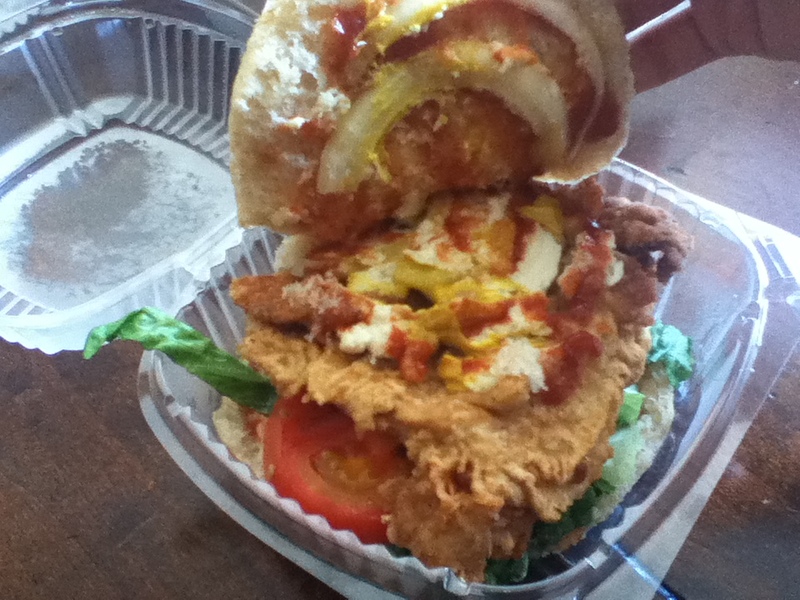 She read a lot of the reviews and said that their tofu-chicken sandwich was the most popular, so we both got that. 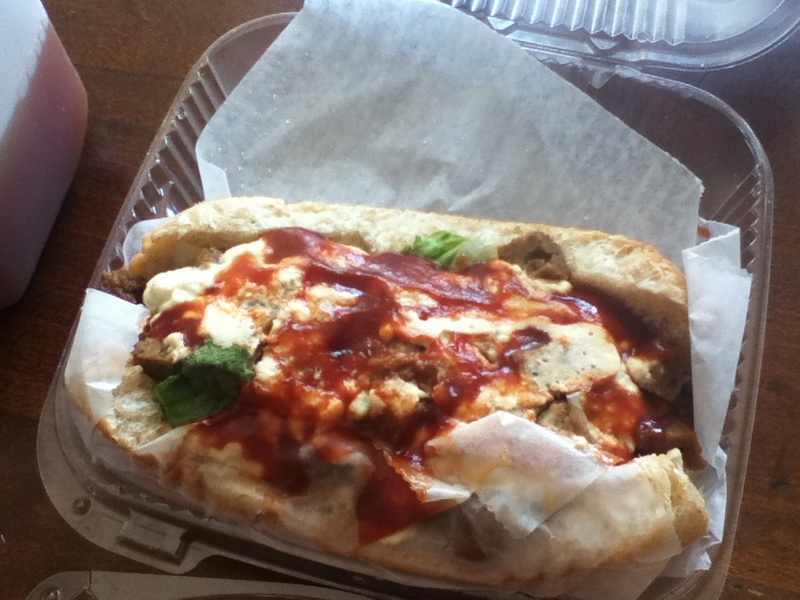 We also got a carry out vegan-Steak and Cheese for Christina’s husband, which he liked as well. I had high expectations and it still surpassed them. 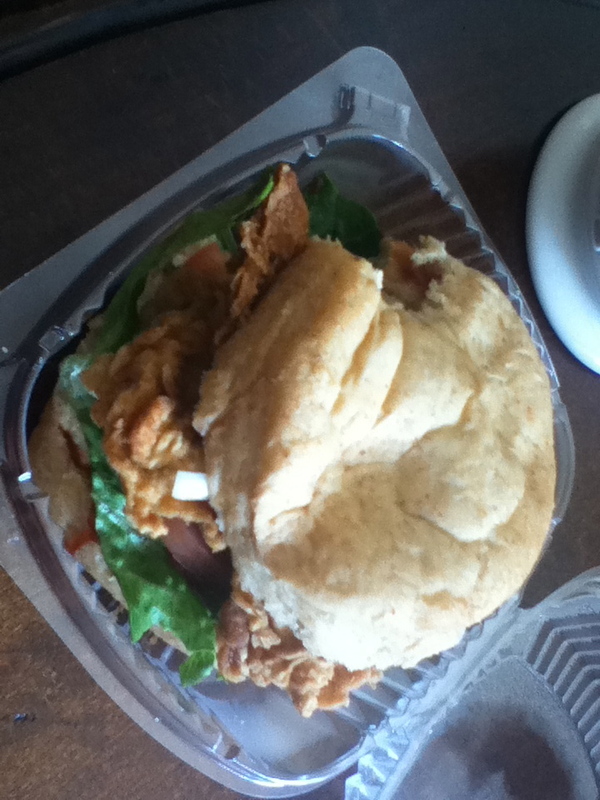 The tofu chicken was unbelievable… I don’t know how that was tofu as the texture was so perfectly crispy. 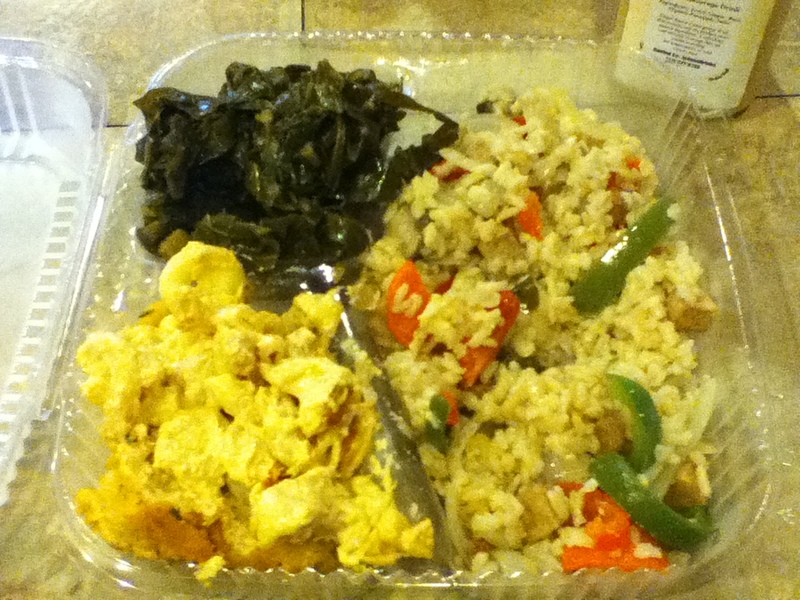 They also had a hot bar full of yummy looking sides. They had a list of entrees too, such as lasagna, eggplant, bbq vegan-steak. I just wish I had more time to try all of them. Really, if you are ever in DC, this is the one place that you have to go. 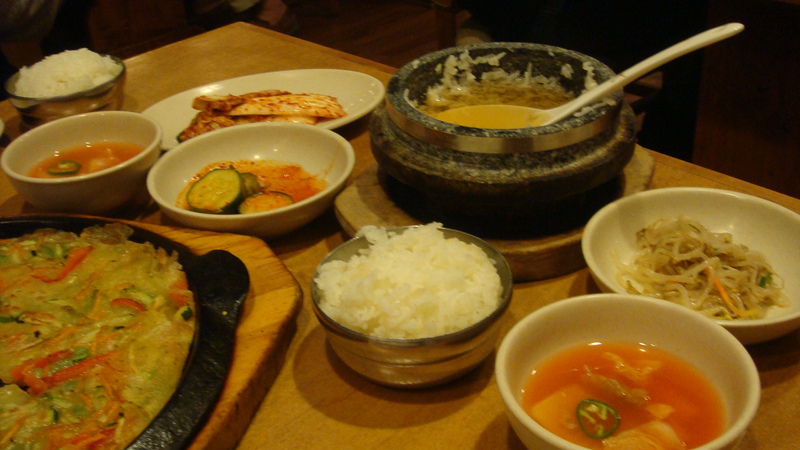 We also visited a Korean restaurant, Vit Goel (Lighthouse) Tofu House, not a vegan restaurant, but it had plenty of vegan options. 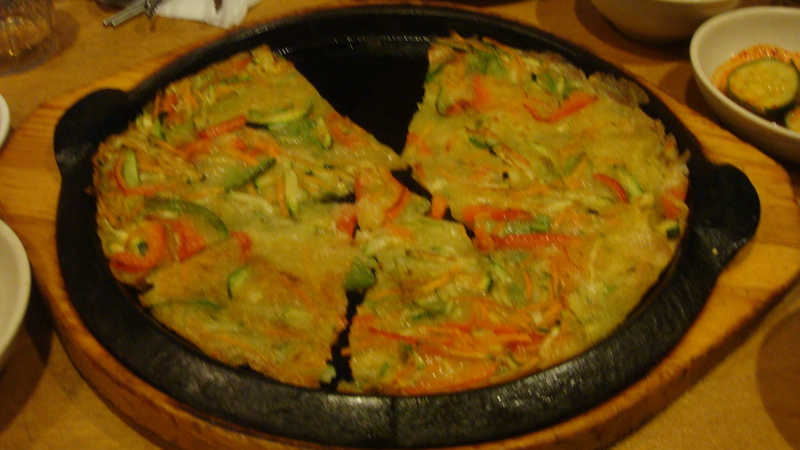 The veggie pancake (yummy!) was crispy, cooked with plenty of oil (I make mine with a lot less, so this was a treat), and I got a bowl of veggie soon tofu. 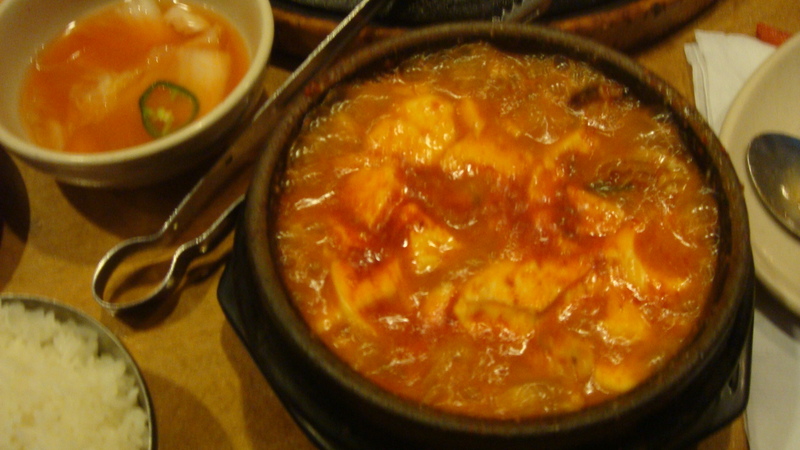 Omo, the soon tofu was amazing – really spicy and totally addictive. Of course there were tons of banchans that were so tasty. We visited a couple of museums while I was there, the Holocaust museum, which I had been in for a short time before, but hadn’t had time to go to the permanent exhibition, so we went there. It was a really beautiful exhibition. Even if you know a lot about the Holocaust, it’s worthwhile seeing. We also visited the Smithsonian’s museum of Asian art. 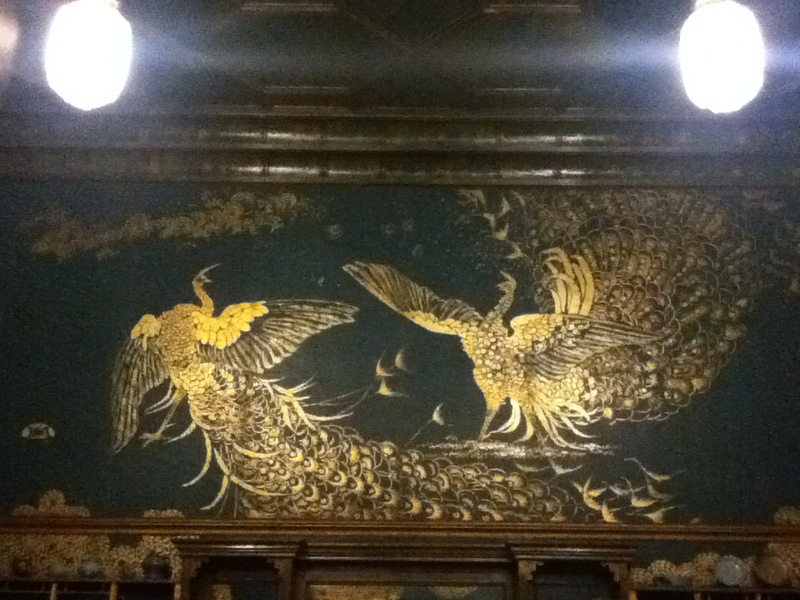 James Whistler’s famous peacock room was really stunning, and I liked his other paintings as well. I took a couple of pictures of the ones that I liked in particular. 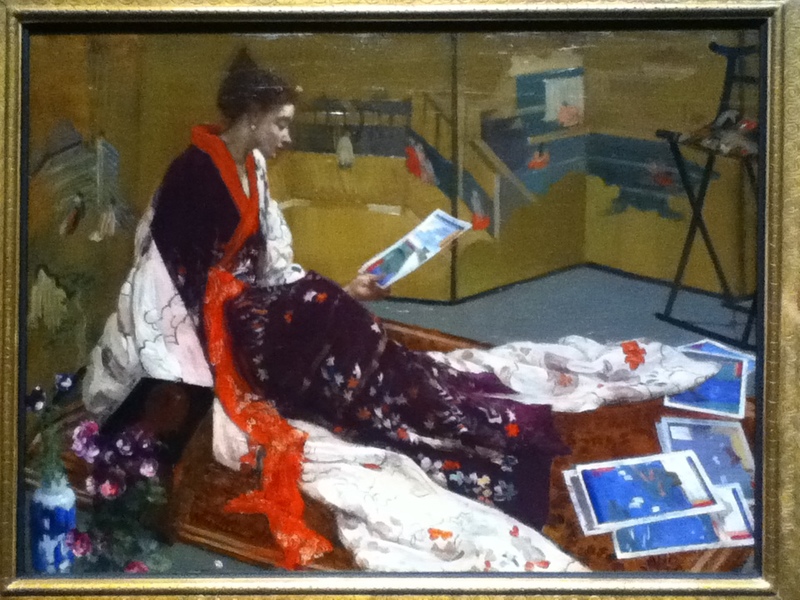 I wondered what these Caucasian women were thinking in these Kimonos, posing for Whistler. The Korean ceramic exhibit was closed due to their reorganization, so that was too bad. We had to visit The Vegetable Garden as well. Bill and I had visited this place before, when we were in DC before. They have Asian dishes (primarily Chinese) all in vegan style. Last time I think we got sweet and sour vegan-chicken and General Tso’s. They were both very good. We remembered the soup being fantastic as well. 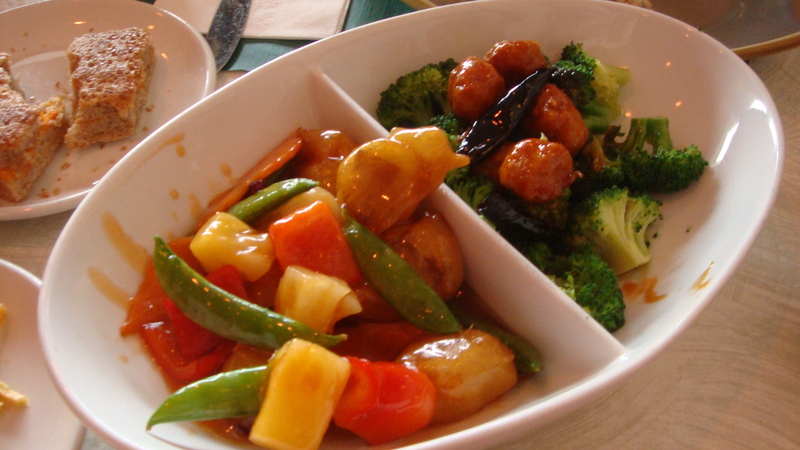 This time, Christina and I got Orange vegan-Beef, General Tso’s and sweet and sour delight (sweet potato dish). It was good, but I wasn’t as impressed as the first time as it was one of the first vegan restaurants we’d ever been to. 🙂 We also got soup. 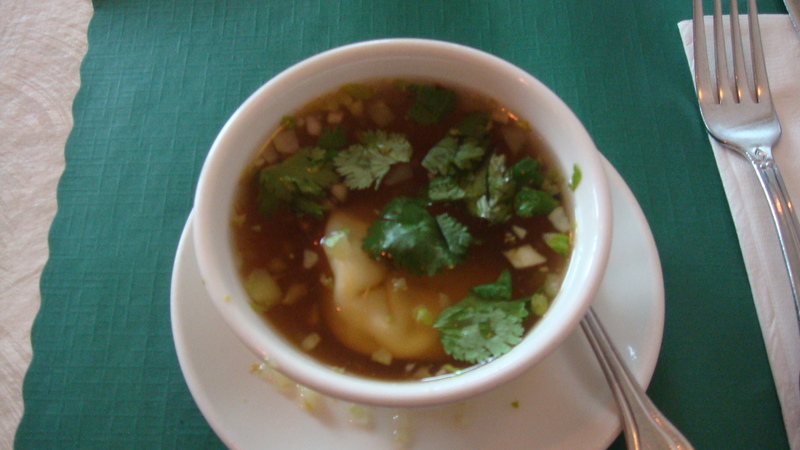 I got the wonton soup (amazing!) 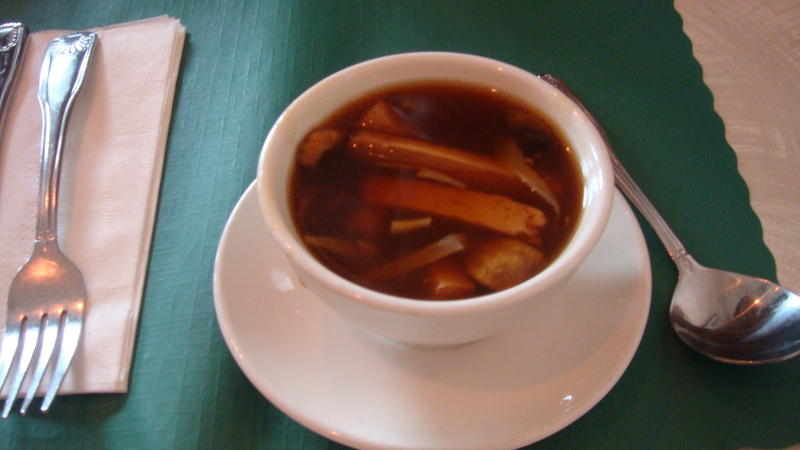 and Christina got the sweet and sour soup. I think they do soups and fried dishes best, as they really stand out, while the stirfries are good but not extraordinary. 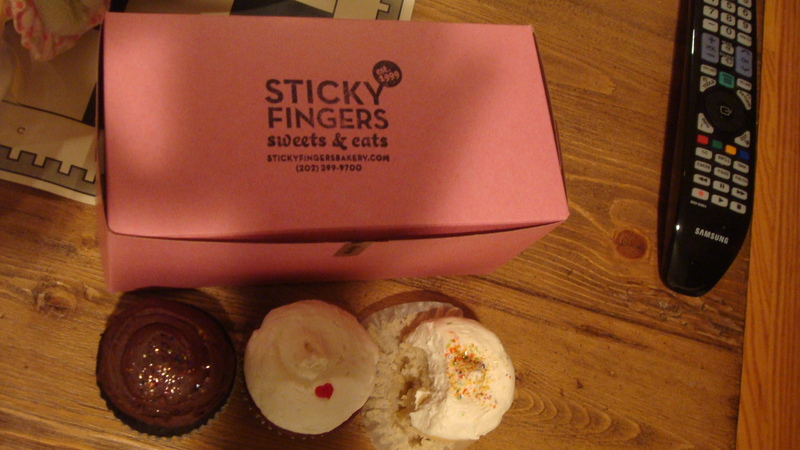 We made a final decadent dessert trip to Sticky Fingers (Vegan) Bakery. I try not to eat too much sugar, but it was a special treat. 🙂 It was a Sunday afternoon when we visited, and they were very busy. 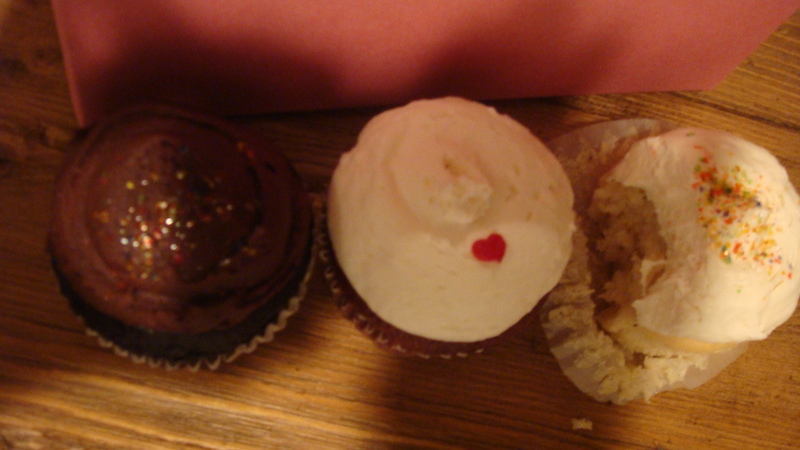 Their cupcakes are so good, and they come in such a cute pink box. I also got a vegan chcolate chip cookie as well as some Sweet and Sara Vegan Smores. I love Sweet and Sara products. It was such a great trip, and Christina was so wonderful in taking me around everywhere. Poor Bill has made multiple trips to DC this year for business but has been too busy to visit a single vegan restaurant so he was depressed to miss out. DC has to be one of the most vegan-friendly cities in the nation. We’re really looking forward to our next visit! 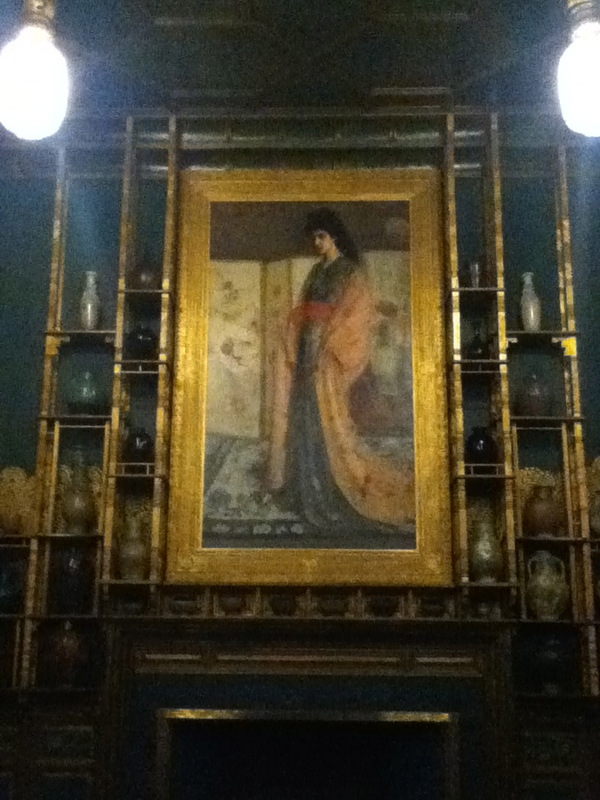 I love those Whistler paintings you reproduced here. 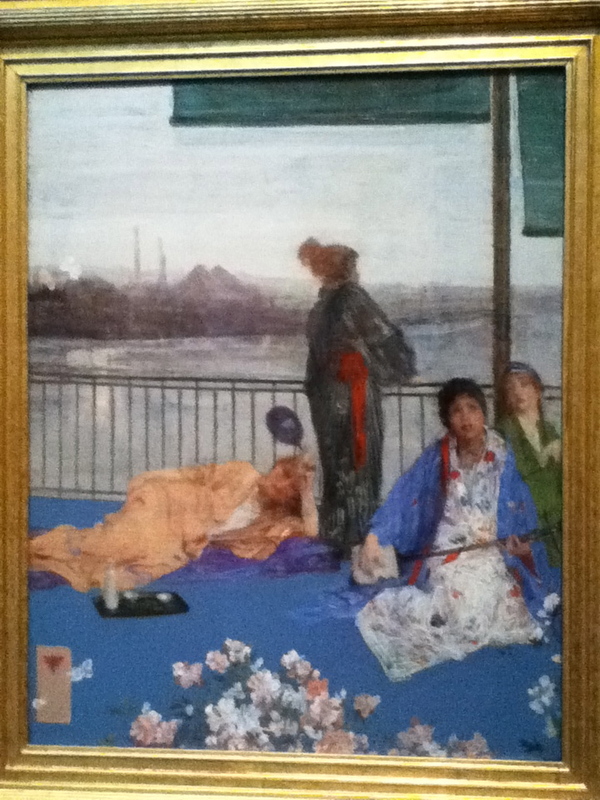 The one of the women on the terrace in particular takes my breath away–it’s something about the blue saturating the foreground and the opulent drapery of the kimonos against the background of the industrial landscape.